Afro RnB singer, Micheal Timileyin known by his stage name 'TY' is making his official debut into the music scene with a brand new single christened "Holy" featuring Skailey Mental. TY is known for thrilling his audience with his amusing voice, flow, and lyrics which makes him unique. 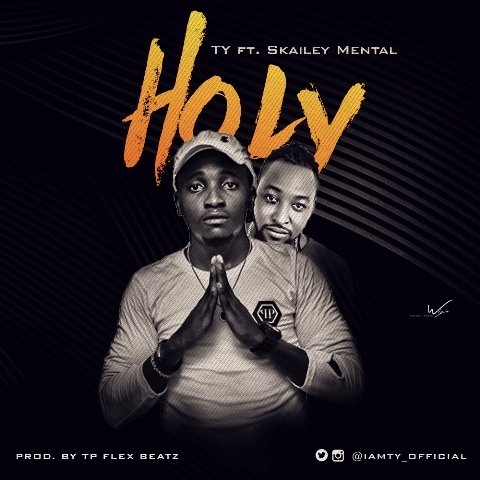 He is set to hit the hearts of his music lovers and female fans with this new single "Holy"
The track which is produced & mixed by TP Flex Beatz, is a song you'd definitely shake your body to - with the pleasant rhythm wherever -whenever. Download, listen and enjoy.